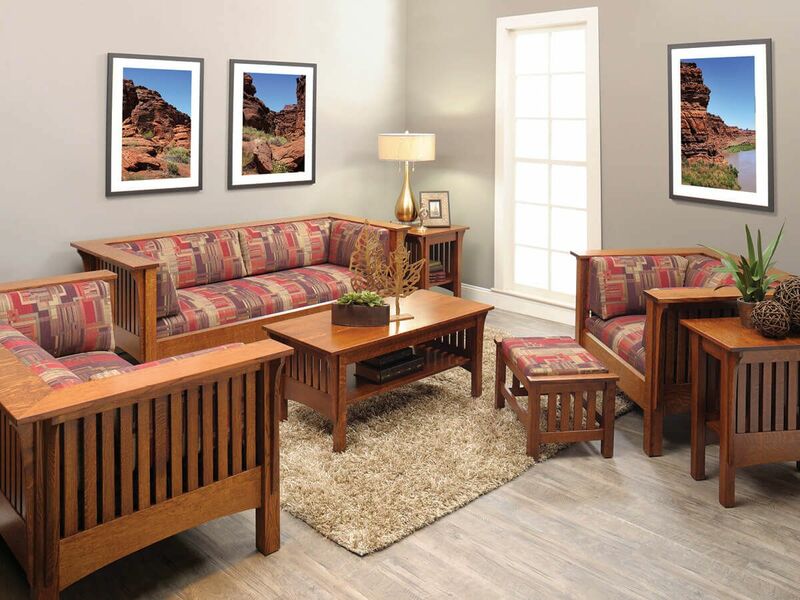 Inimitable Mission details such as vertical slatted sides, exposed through tenons, and decorative wood cutouts define our Sandy Creek Mission End Table. 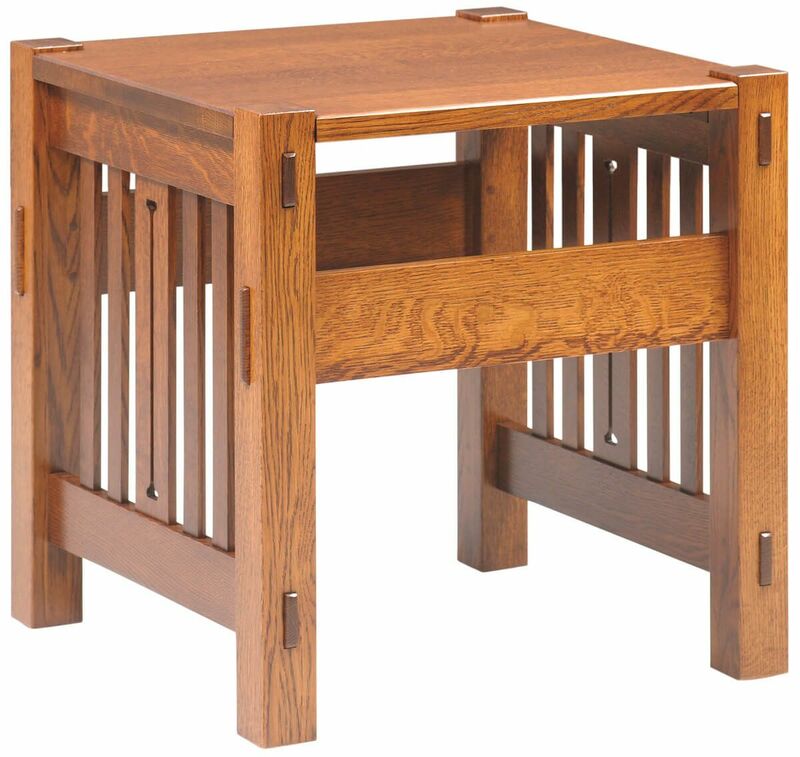 Enjoy the simple elegance of finely crafted furniture with this beautifully built American Mission end table. 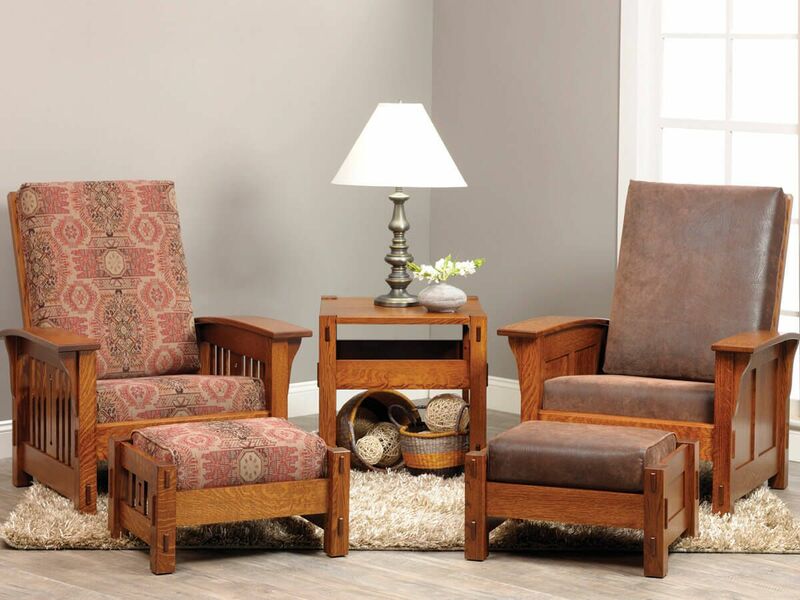 Built with perfect proportions of 24"W x 24"D x 24"H, our Sandy Creek Mission End Table is the perfect sized chairside table. This simple and elegant piece is built in the time-tested Amish tradition to endure for a lifetime. 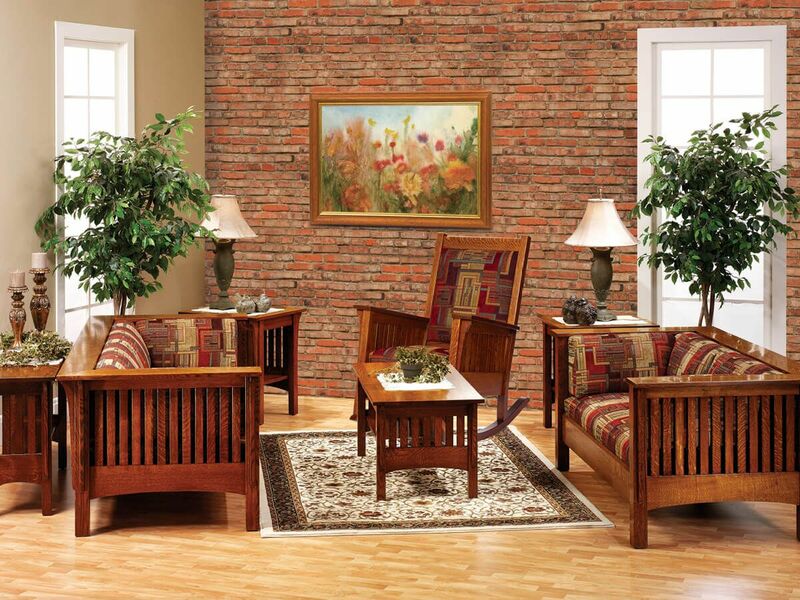 Your Sandy Creek Mission End Table can be crafted in eight solid hardwoods as well as your choice of stain colors. 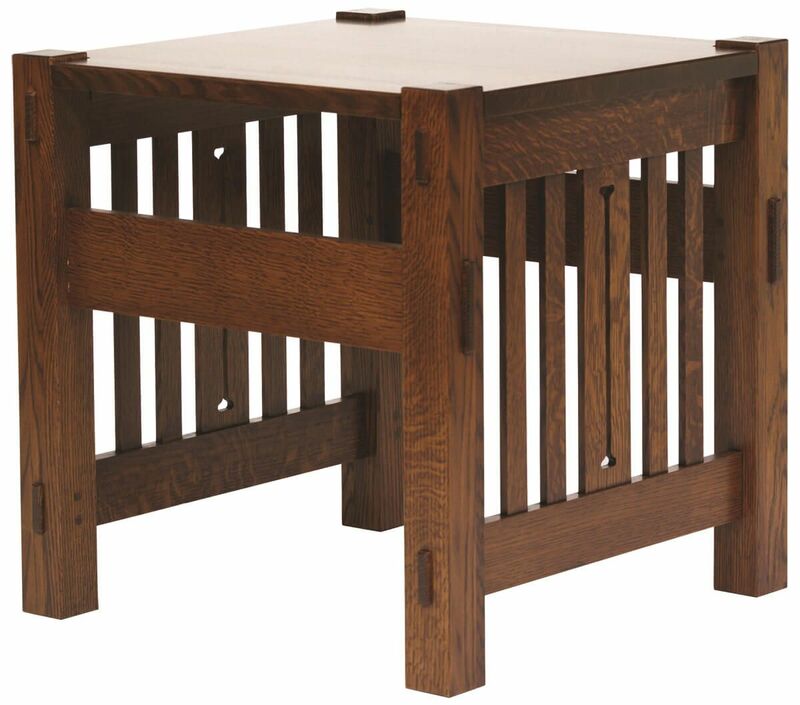 The occasional table is pictured in Quartersawn White Oak.